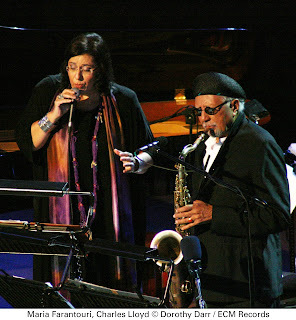 Ahead of Charles Lloyd's Barbican concert on 28th April with Maria Farantouri, we interviewed the saxophonist by email. 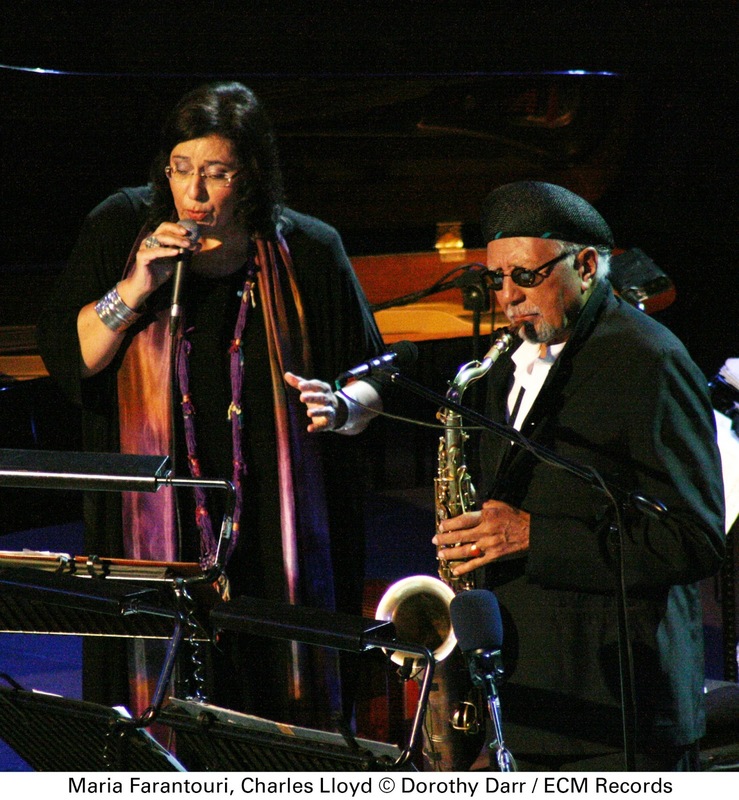 LondonJazz: What do you remember of the summer evening in Athens in 2010 when The Athens Concert was recorded? Charles Lloyd: With a full moon in June shining down on us, and for us to look up from the stage of the Herodion and see the Acropolis glowing in the moonlight - to know that Callas had also stood on those stones and performed, and Nureyev, and so many legends - yes, it was a lifetime experience. But, I hope it will not be limited to just once - they have said they want us to come back to the Herodion, but things in Greece have sadly been on shaky ground for the last couple of years. I hear from Maria Farantouri there is a little light coming through the end of the tunnel. LJ: The quartet has really moved on since then, right? CL: I love this formation. It is a flower that keeps blooming. An unfinished painting that reveals new colors. LJ: It's a great collaboration with Jason Moran. How many years has it been going? CL: Jason joined me in April 2007. Among the concerts in his first tour with me were Cheltenham and London. We share a deep bond and sympatico on so many levels. And I very happy that we have also now made a duo album together – Hagar’s Song. LJ: People write about the dreamlike character of your playing. Does the mind wander off as you play? CL: Hmmm. That could be dangerous to let the mind wander too far off while playing -we have to stay focused and keep our ears open – to be aware of what everyone else is doing at the same time. I prefer to think of us as explorers with the mission of discovery percolating in minds. LJ: How do you find UK audiences?Aren't we a bit buttoned-up? CL:I have always experienced a warm reception the UK - so, yes, I do like the audiences. We're all funny at times. LJ: What else is there planned around your 75th birthday? Charles Lloyd: I will do some duo concerts with Jason during the year - summer festivals will be with Sangam, the group with Zakir Hussain and Eric Harland - I have invited Bill Frisell to do some special events in the Fall and I have been commissioned by the festival in Wrocław to write a special piece for their 10th anniversary in November - the instrumentation will include cimbalom, piano, bass, drums and Greek lyra.